While you are doing Daily Benefit®, you will eat six times a day: breakfast, lunch, and dinner, plus three snacks. Breakfast and lunch consist of the Daily Detox Shake; the rest of your meals are up to you! We’ve provided the Daily Benefit® Shake recipe as well as many recipes for snacks and dinner. You can mix and match these ideas with your own to suit your tastes. While on both programs, you will drink two detox shakes and eat one balanced meal daily. The detox shake supplies the vitamins, minerals, medium-chain triglycerides, and antioxidants that are important building blocks necessary to improve liver detoxification. It’s a vegetable-based protein powder combining pea, artichoke, sprouted Amaranth, and sprouted quinoa to make a hypo-allergenic high-protein, low carb shake. 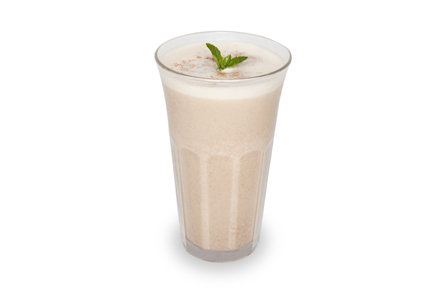 To create delicious variations of the original recipe please read our shake flavor variations. This is your opportunity to get creative! Remember to check the Grocery Guide when preparing to try our healthy recipes while on the program. Vitamins A, D, E, as well as B vitamins, along with the minerals calcium, magnesium, zinc, copper, and selenium, all assist the liver’s detoxification process. Antioxidants such as the catechins from decaffeinated green tea are like the janitors of detoxification: they help to mop up free radicals that are created between the two phases of detoxification. Amino acids such as taurine, methionine, and N-acetylcysteine (NAC) are the building blocks of the second phase of the liver’s detoxification process, available to help the body manufacture different proteins and enzymes as needed to manage the detoxification load. Medium-chain triglycerides (MCT) are good fats that actually help to improve metabolism and weight.